Obesity can be defined as a serious medical condition when the body gets accumulated with so much excess fat that it becomes detrimental to his or her health conditions. Childhood obesity is a major concern today when children, babies, toddlers, and teenagers face serious medical conditions due to excessive weight and fat that gets stored in the body. If left unattended it leaves serious consequences like diabetes, sleeplessness or hypertension and might even turn out to be fatal. Body Mass Index commonly known as BMI is the standard for measuring the obese status of a person. Normally BMI of 30 or more can be referred to Obese. BMI can be calculated by dividing the weight of the individual in kilograms by his or her height that is measured in meter square. For Example, if your weight is 50 kg and height is 1.524 meter which is like 5 feet, then your BMI would be 50/1.524=21.5 which is normal. For your reference here is a guide with BMI chart that can help you to understand if you are obese or not. BMI for children is actually understood in a different way than adults. This is because as the child grows up there are changes in height and weight and the body fat also changes over the period of time. However, we must keep it in mind that there is no perfect method of measuring weight status as BMI not a medical diagnostic and we must take the advice of health care professionals who are the best guide to consult. 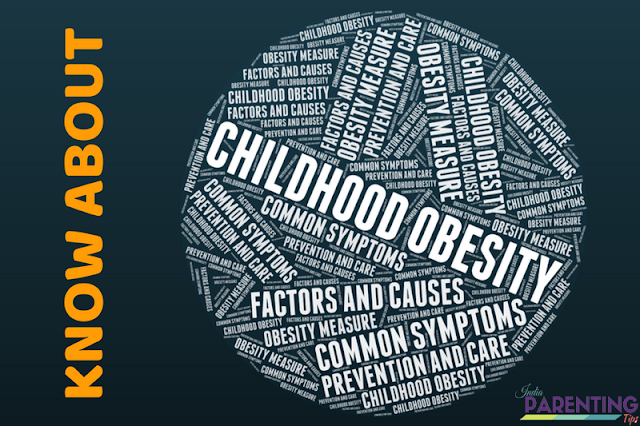 In case of Childhood Obesity, we must not rely on BMI as there might be other factors involved when even if a child has higher BMI but other factors must be considered to declare if the child is a victim of childhood obesity. For children, the BMI chart is plotted in the growth chart to determine and understand if the child is obese and they differ across genders. Therefore it is always best to rely on a healthcare specialist who can best guide and evaluates the condition. Most parents fail to recognize obesity of the child until they are shaken up with serious threats like early type 2 diabetes, cholesterol problem which comes out only when they see a pediatrician and gets a thorough report. Otherwise what most parents feel is healthy may be actually obese. India for example until and unless the child looks plum and fat the mother in laws do not consider that the child is properly taken care. Even if the child has a good height and weight they still blame the mothers for not caring enough to make the child fat. Shocking? Yes, this is true in most cases. In the U.S there is an alarming increase in the percentage of obesity amongst children which is three times than what it was in the 1970’s. According to the research done 2015-2016, 1 in every 5 children in the United States is obese. If this was the situation then we can very well understand what might be the latest statistics in 2018! Therefore it is important for us to understand the common symptoms of Obesity. Genetic factors. High Metabolism rate (how food and oxygen are converted to energy). Environmental factors(too much unhealthy and junk food around). While the first two factors like genetic factors and higher metabolism rate are something that we cannot change, we can definitely make good changes in the other factors by following a daily plan and healthy habits. The ill effect of childhood obesity on physical health is I hope now more or less clear to us. To recap, they are sleeping disorder, hypertension, asthma, cholesterol and so on. If not treated and identified with proper care and attention it might lead to serious long-term consequences when the child becomes an adult like heart disease, type 2 diabetes or even certain types of cancer. The Psychological effects of childhood obesity include lack of self-confidence, a victim of an easy bully, stress, and depression, anxiety and very poor self-esteem which have a very negative effect on childhood growth and development. 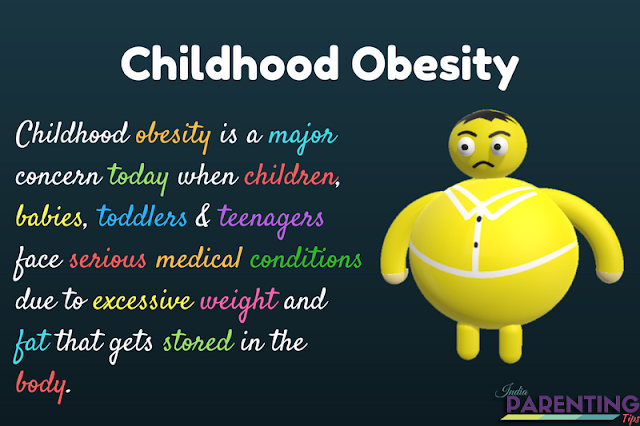 It is true that Childhood Obesity is a serious subject that needs immediate attention to stop before it gets rooted. Therefore the following tips of prevention and care might be of help to tackle this concern. Now that we are aware of this issue it is imperative that we start handling this issue as early as possible beginning from child infancy. Breastfeed your child as much as possible if you can. Bottle-feed babies should finish the complete feed at one time without leaving the residue. Every cry may not be a hunger cry. Keep this in mind and follow the doctor’s advice. Do not give in to the societal pressure especially in-laws asking for chubby babies. That’s not what you want and it is not needed. Do not eat junk foods and keep junk foods around for growing children to easily pick from the cabinets or refrigerator. Be a smart buyer and use healthy alternative to junk foods. Cook healthy meals at home and avoid getting food from outside. Cut down the excess use of Oils, fats like Butter, Cheese etc. Children are badly affected by improper health conditions and lifestyles at home. Often parental fights lead to bad eating habits in Children to avoid stress leading to more stress and depression. Hence make sure that your personal problems should not affect the children and family habits. Ensure daily exercise habits at home. Stop being negative and focus on positive things happening around. Keep your child motivated and encourage him time and again. Keep time for family time. Your child needs you. Lack of attention often makes the child lonely and it affects the eating habits of the child. Ensure regular health checkup for the children to easily handle any issues at the budding stage. If your child is obese, it is not that it is going to be the same forever. He or she will grow up and maybe the issue will no longer exist. Thank God and be positive that it is good that you have been successful in recognizing the symptoms and so now you know how to deal with it. With patience, vigilance and proper corrective actions, I am sure everything would just be fine. You are already working on it. So Relax and be stress-free. This was my thought and my research on Childhood Obesity. I hope I am able to reach out to anxious parents wanting to know about Child Obesity in details and how they can fight out all odds to ensure a happy healthy childhood for their young ones.